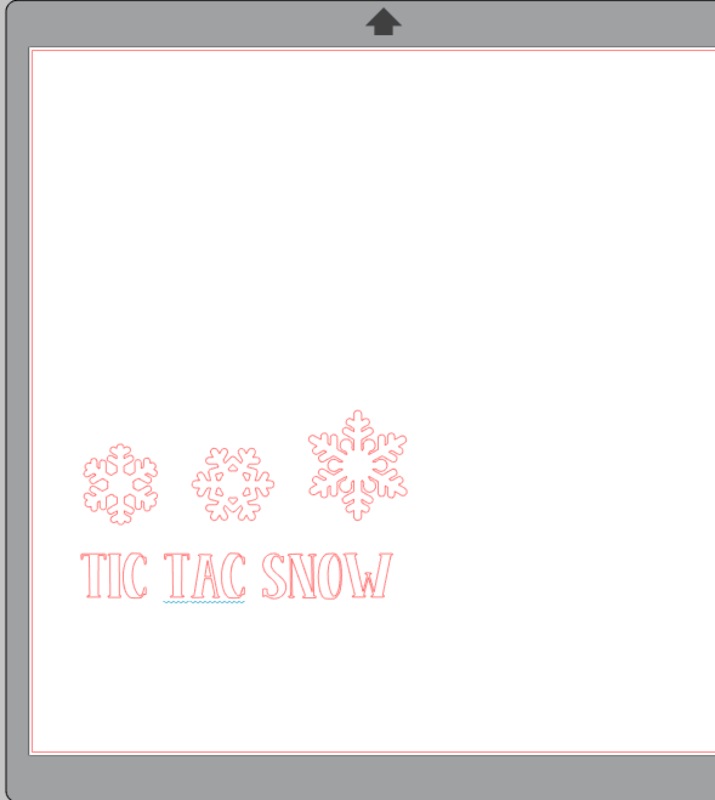 Have you heard of the game Tic Tac Snow? 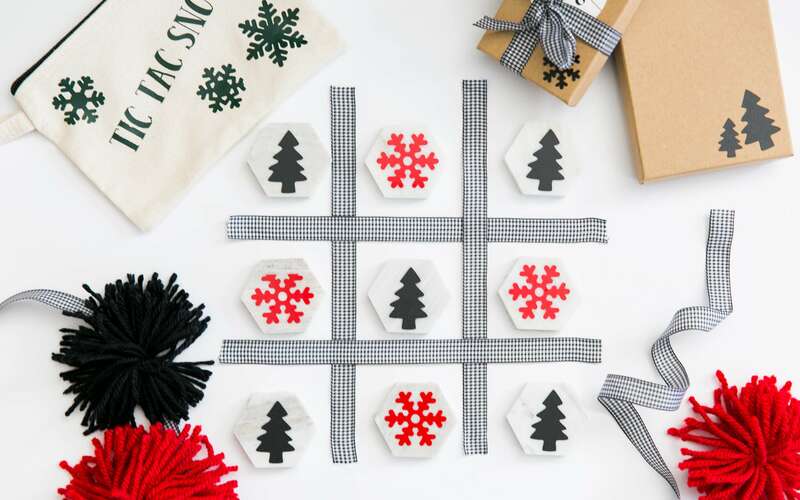 It’s just like tic-tac-toe, except it has snowflakes and it’s holiday themed. 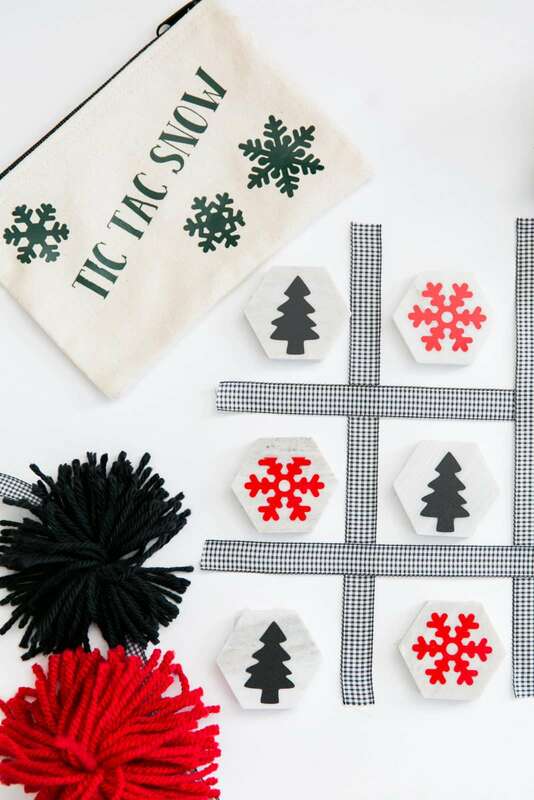 It’s the most wonderful time of the year, and I am about tapped out on my resources and finances, but my Tic Tac Snow game is a unique gift or stocking stuffer that costs next to nothing. I have been playing it with my kids for the past two weeks, and it never gets old! I was looking at my local hardware store for some tiles in the clearance section and I found these beautiful marble tiles and I only paid $1 for a sheet of 30 of them! I felt like I robbed the place and made sure it wasn’t a typo! 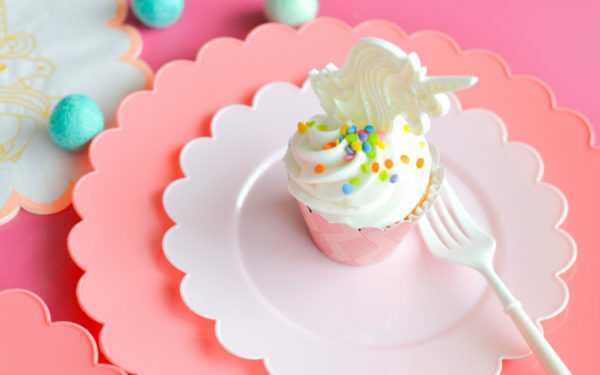 I cut them individually. Then I laid nine of them out in a square and cut four pieces of ribbon to make the shape of the game board. 1. 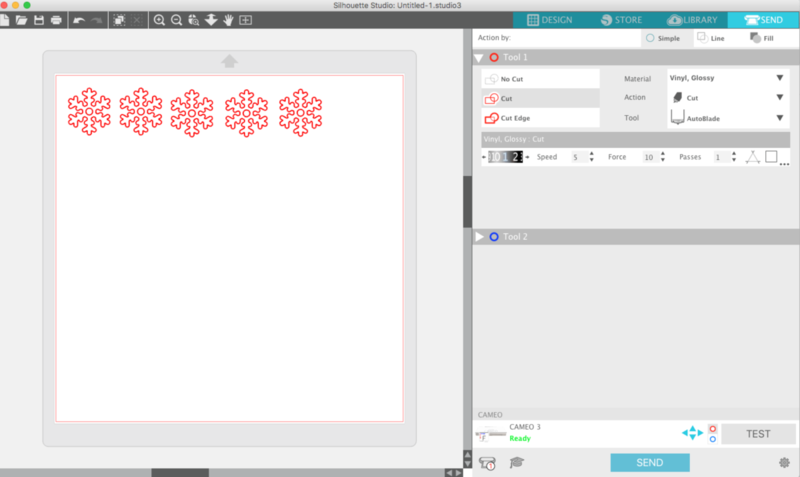 After purchasing the snowflakes and trees (located in the Dingbat font) in the Design Store, open Silhouette Studio®. 2. Locate the designs. Then place and size the designs to your preference. We sized our pieces to about 1.5 inches wide to accommodate the tiles. 1. When you open the Send tab, everything the Silhouette will cut will be highlighted in red. 2. Adjust your settings to accommodate the material you are using and adjust your blade if you are using a ratchet blade. Make sure you have “Cut” selected as your action. 3. 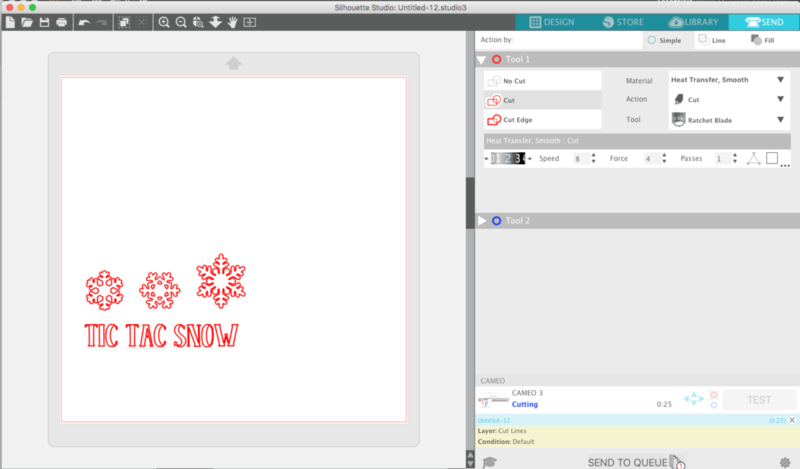 Load the vinyl into the Silhouette and then select “Send” in Silhouette Studio®. 1. When the Silhouette is finished cutting, weed out (or remove) the excess vinyl. 2. 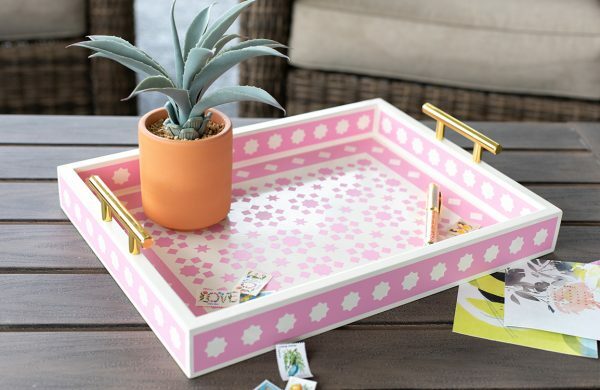 With the help of transfer tape (I live for this stuff), carefully apply the graphics to your tiles, and you will have the perfect stocking stuffer! You can add the game to a canvas wristlet like we have done here. 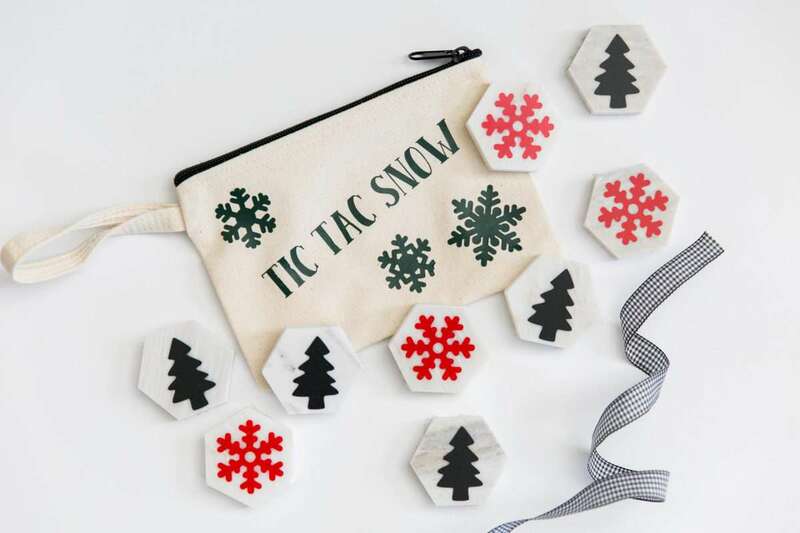 Add “Tic Tac Snow” to your favorite canvas bag or pouch to keep the pieces in, and reuse the tree and snowflake vinyl for embellishments!